There's some Philly in the mix, with a bit of overlap from my best albums and best locals lists, because the best songs tend to be on the best albums. I tried to keep that to a minimum, though, the better to showcase individual tracks, as that's the way most of us listen these days. So here goes, from Spoon to Sharon Jones, with Kendrick Lamar, Khalid, and Cardi B in between. Press play on the embedded Spotify playlist to listen up. Spoon, "Hot Thoughts." Title cut from the ninth album uncommonly consistent Britt Daniel-fronted Austin, Texas, minimalist rock band. Ron Gallo, "Young Lady, You're Scaring Me." Ripping rocker that roars like Link Wray and references the Kensington Strangler, from the Philadelphian-turned-Heavy Metal Nashville standout. Selena Gomez, "Bad Liar." Superb use of Tina Weymouth's bass line from Talking Heads' "Psycho Killer," on this elemental production by one of the most Instagram-followed people in the world. Calvin Harris feat. Frank Ocean and Migos, "Slide." The Scottish producer and Taylor Swift ex teams with elusive R&B star Ocean and the breakout Atlanta hip-hop trio. Lorde, "Greenlight." Working with producer Jack Antonoff, the no-longer-teenage New Zealand star made a heartbreak record in Melodrama that's topping lots of album-of-the-year lists. Kendrick Lamar, "Humble." The greatest rapper alive preaches humility. Migos feat. 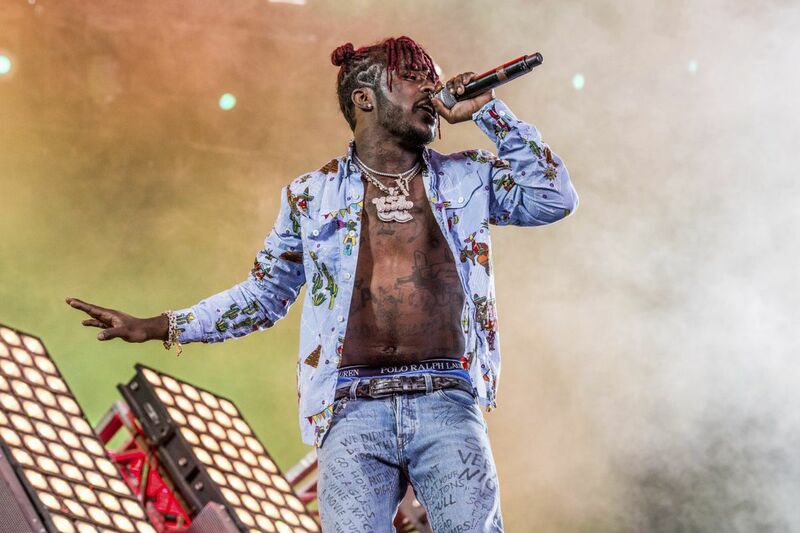 Lil Uzi Vert, "Bad and Boujee." Quavo, Offset, and Takeoff team with the Philly rapper to proclaim their intention to maintain their street cred and get paid. Lil Uzi Vert, "XO Tour Llif3." The emcee born Symere Woods — who's bringing his A Very Uzi Christmas tour home to the Liacouras Center on Dec. 22 — veers into emo-goth territory with the repeated mantra "Push me to the edge / All my friends are dead." Kesha, "Woman." A profane declaration of independence from the pop star who has accused her former producer Dr. Luke of sexual misconduct, punched up by the Dap-Kings horns. Lana Del Rey, "Love." The lead single from the moody Los Angeles chanteuse's Lust for Life, which cops its title from a 1977 Iggy Pop album, casts a David Lynchian spell. Miley Cyrus, "Malibu." Miley Cyrus' Younger Now was an only halfway successful return to wholesomeness, but much as it might irk fans of transgressive tongue-wagging Miley, this track stands on its own. Alvvays, "In Undertow." Toronto's double vv'd fivesome fronted by singer Molly Rankin excel at shimmery power pop on Antisocialites. Charly Bliss, "Glitter." Super-catchy guitar pop from Brooklyn band fronted by Eva Hendricks, who stepped up with their bright and bracing debut, Guppy. Thundercat, "Show You the Way," feat. Kenny Loggins and Michael McDonald. A Yacht Rock power summit led by the monster bassist and genre-splicing songwriter. McDonald's cameo helped launch his Wide Open comeback. Margo Price, "Pay Gap." On 2016's Midwest Farmer's Daughter, country singer Price detailed Nashville casting couch sleaziness. Here, she uses a Tex-Mex accordion tune to protest gender inequality. Angaleena Presley, "High School." The mean years, depicted by the Kentucky songwriter who's a member of the super group Pistol Annies. From Wrangled, the sleeper country album of the year. Drive-By Truckers, "The Perilous Night." "I'd like to tell you that there's better days / But optimism's running low today," Truckers singer Patterson Hood seethes in a salvo released on the first anniversary of the 2016 election. Randy Newman, "Putin." A sardonic character sketch of the bare-chested Russian ruler. From the veteran satirist's frequently funny and often beautiful Dark Matter. Sampha, "(No One Knows Me) Like the Piano." Soulful rumination from British songwriter and producer Sampha Sisay, from The Process. Trust it. Camila Cabelo, "Havana." Slinky ode to her hometown by Cabelo, the former member of girl group Fifth Harmony. Maybe the second-biggest Latin-tinged hit of the year, behind the Luis Fonsi/Daddy Yankee/Justin Bieber blockbuster "Despacito." Khalid, "Young Dumb & Broke." A cheery lament from 19-year-old songwriter and producer Khalid Robinson, whose American Teen landed five Grammy nominations. Cardi B, "Bodak Yellow." The breakout single of the year from the Bronx-born former stripper and born entertainer who became the first female rapper to top the Billboard charts since Lauryn Hill in 1998. Charli XCX, "Boys." Perky pop song by Brit Charlotte Aitchison is about the female gaze with a beefcake video that trains its eye on Joe Jonas, Joey Bada$$, Ezra Koenig, Riz Ahmed, Charlie Puth, Mac DeMarco, and more. Matt Ox, "Overwhelming." Speaking of boys, Lawncrest's Matt Ox turns 13 this month. He went viral with this fidget-spinning mumble rap charmer. Mac DeMarco, "My Old Man." Strummy thoughts on aging and maturity from the 27-year-old Canadian's third album, This Old Dog. Turns out having all that fun carries a price tag. Phoebe Bridgers, "Funeral." "Jesus Christ, I'm so blue all the time," Bridgers sings about the yoke of depression. The Stranger in the Alps songwriter has been cosigned by Julian Baker and Conor Oberst. Here, her forthright emotion recalls John Prine. Julien Baker, "Appointments." Hope amid hopelessness was a big pop music theme in 2017 — see U2's Songs of Experience. Nowhere more movingly than here: "Maybe it's all gonna turn out all right," the young Memphis songwriter sings. "I know that it's not / But I have to believe that it is." Low Cut Connie, "Revolution Rock and Roll." Swaggering piano pounder from sweaty Philadelphia outfit led by Adam Wiener about music and salvation. Charles Bradley, "Changes." The title cut from the final album by soul man Charles Bradley before his death in September is so tailor-made it's easy to forget it's a Black Sabbath song. Sharon Jones & the Dap-Kings, "Sail On." Soul of a Woman, the posthumous album by the soul woman who died of pancreatic cancer in 2016, is a celebration of life from a singer with irrepressible energy and deep Southern roots. This horn-fired rallying cry's spirit never dims.